At MEB the Motor Centre, your driving experience is one of our foremost thoughts. 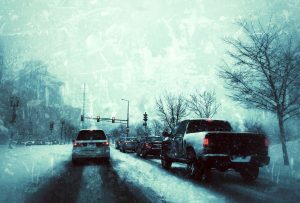 We have already discussed in previous articles about winter driving checks and what should be in your winter breakdown kit, this article focuses on the type of weather you might encounter in winter and how best to cope. Do take a look at our longer article on how to drive safely in fog for more tips. If it has snowed already then do make sure you clear the snow off the car fully before setting off. We have a dedicated article for tips on driving in the snow here. If the storm is severe, pull over so that you minimise the risk of your windscreen shattering. Find a space under a bridge to wait for example. We hope you don’t have to experience too many of these types of weather this winter but if you do then be prepared. This entry was posted in Uncategorized and tagged motoring in winter, winter, winter driving, winter driving conditions, winter weather, winter weather advice. Bookmark the permalink. Both comments and trackbacks are currently closed.